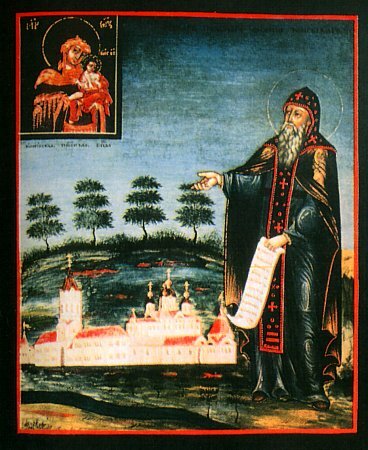 Saint Arsenius of Konevits was a native of Novgorod, a coppersmith by trade. The Saint accepted tonsure in 1373 at the Lisich Monastery near Novgorod, where he spent seventeen years and took the monastic name of Arsenius. He went to Mount Athos in 1390, and there he spent three years, dwelling in prayer and making copper vessels for the brethren. Although his recorded life does not state which monastery this was, it is believed that he entered the Serbian Monastery of Hilandar. 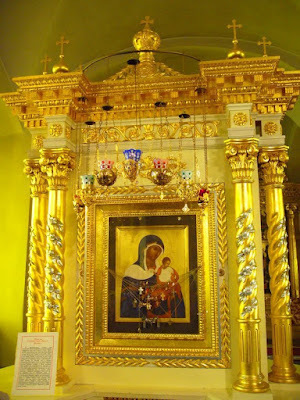 In the year 1393, Saint Arsenius returned to Russia and brought with him an icon of the Mother of God, which was later called the Konevits Icon, given to him by an abbot named John at Mount Athos. 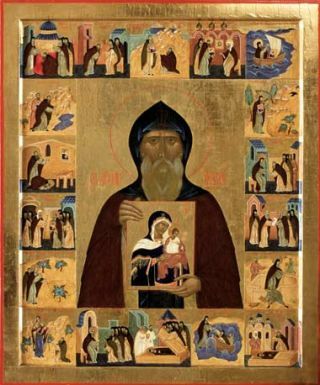 Saint Arsenius went with this icon to the island of Konevits on Lake Ladoga, where he spent five years in solitude with his disciples. In 1421 the lake flooded, destroying the monastery structures. 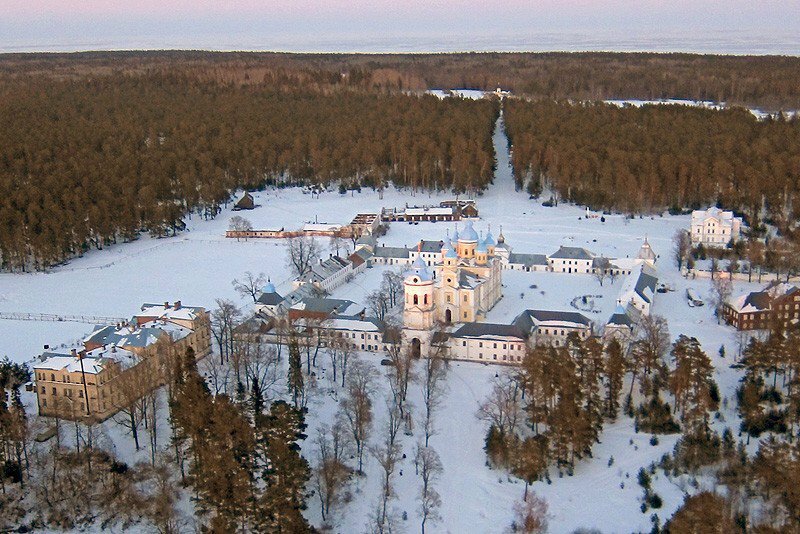 This forced Saint Arsenius to relocate the monastery to a new site on the island. 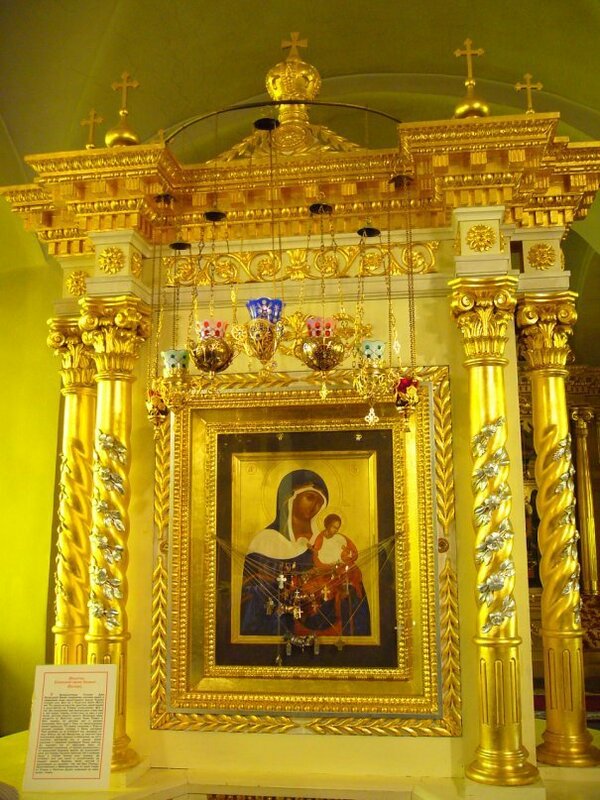 While a new location was in consideration the blessed one began to pray to God and the Most Holy Theotokos to give him understanding. One night, while taking a little rest as he prayed it seemed to him as though he saw himself walk to the place where the monastery now stands and outline its borders. When St. Arsenius related everything to the brethren they attested to the fact they at times they either saw a bright light, heard bells, or smelled a strong sweet fragrance at that place. And so, on this site, they built the new monastery and erected a church in honor of the Nativity of the Most Holy Theotokos. Before his repose in June of 1447, he instructed his disciples with some final words. He taught them to "continue firm in Orthodoxy, keep unity of mind, have purity of body and soul and unhypocritical love for your neighbor. Flee from evil and defiling thoughts and keep the rule of the Holy Mountain." He ordered that at the meals the brethren should have everything equal and that drunkenness should not even be thought to occur in the monastery. Strangers and any who come to the monastery should be cordially received, refreshed, and given what they may need in going on their way. 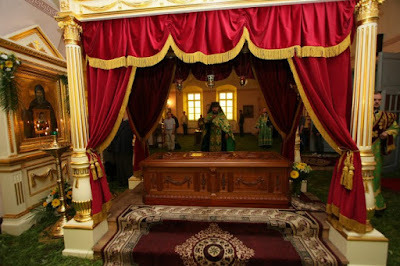 Saint Arsenius died in 1447, and was buried in the monastery church. From his body there flowed a strong ineffable fragrance. 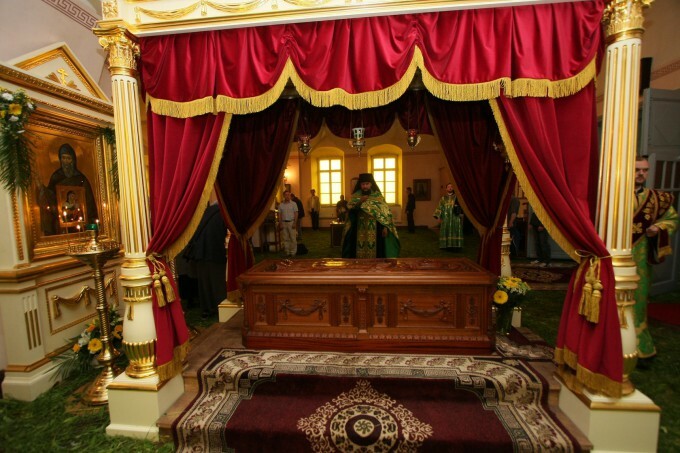 His Life was written in the sixteenth century by Abbot Barlaam of Konevits. 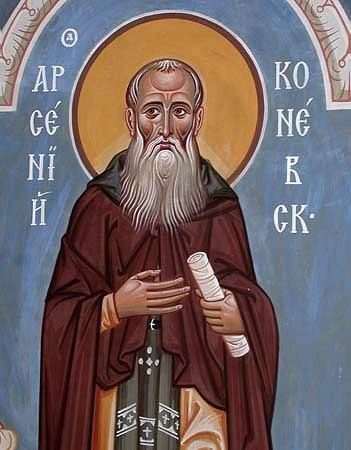 The Life of Saint Arsenius was published in 1850, together with the Service and Akathist in his honor.